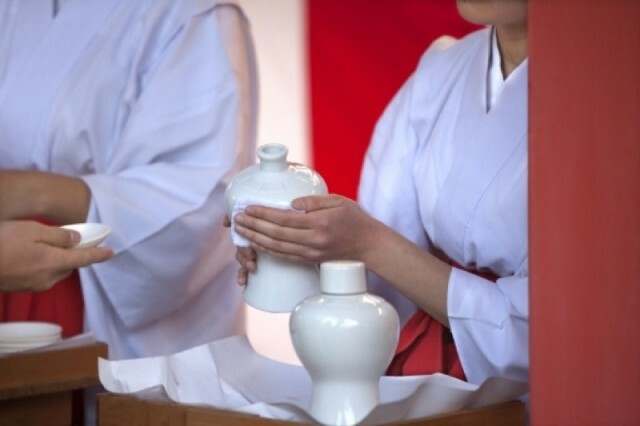 Omiki or goshinshu means sake offered to a shrine or the altar making the sake divine. Being made from rice as the traditionally principle food of the Japanese, sake is often used as omiki, but in some areas local liquors are also used. 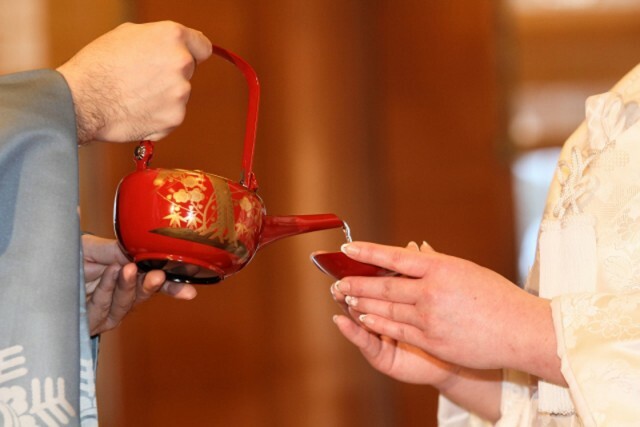 As part of shinsen, food offerings presented to gods (or deities), sake is essential to Japanese annual events throughout the year. Sake becomes omiki when presented to gods at rituals or festivals such as kinensai (prayer service for a good crop) or niinamesai (ceremonial offering by the Emperor of newly-harvested rice to the gods), and also for the New Year, wedding ceremony, hatsumiyamairi (having a baby blessed at a shrine for the first time), jichinsai (ground breaking ceremony) and jotoshiki (ridgepole raising ceremony). Then right after such festivals, it is shared by participants, which is called naorai. Thus, the only sake that can be considered as omiki is the one presented to gods. 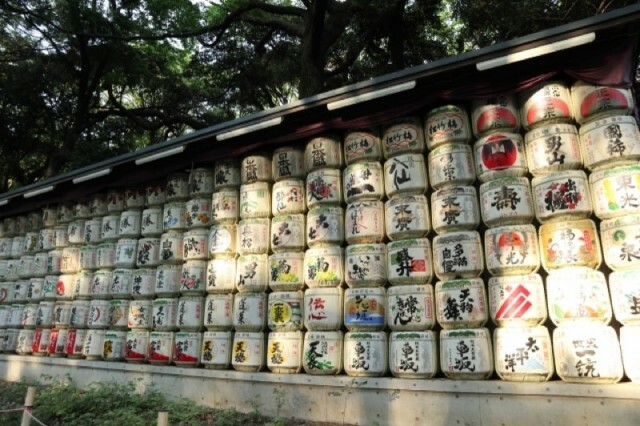 A sake brewery brewing sake for omiki and distributing it to shrines is called omikisakaya. Mostly, each shrine purchases it from its specific omikisakaya, however, sometimes several breweries take turns to make omiki sake or non-local sake breweries are requested to make omiki sake.